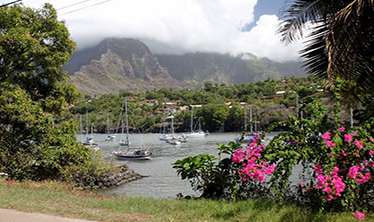 Interesting attractions of Hiva Oa, the second largest island of the Marquesas Islands. Its population is about 2200, and the volcano Temetiu is the highest point 1200 meters. 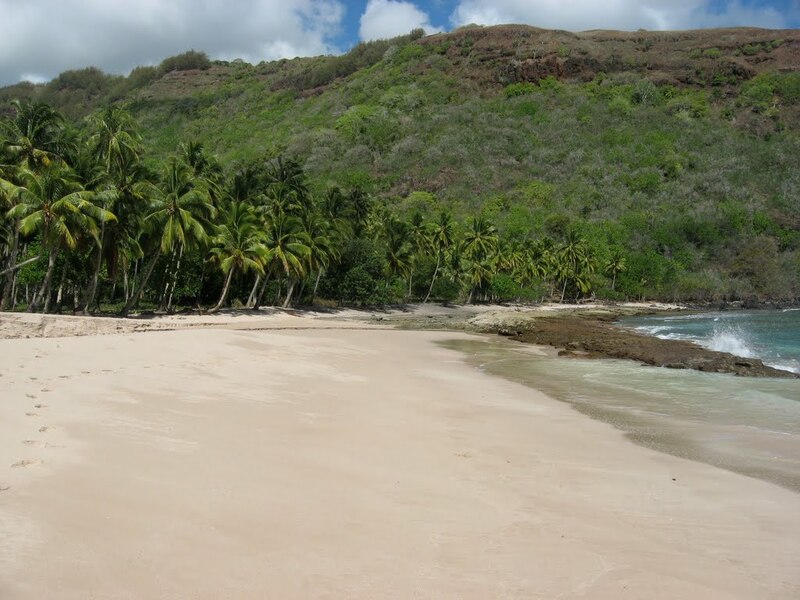 The French painter Paul Gauguin and the writer Jacques Brell lived and buried on this island. Here are also the largest sculptures of wood and stone "tiki". They testify to the common culture between the Polynesians and the Maori. 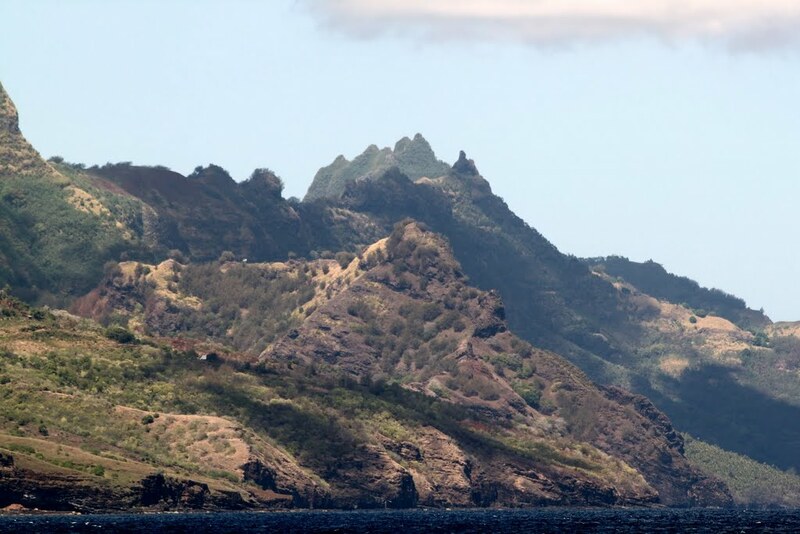 Relief of Hiva Oa Island is mountainous with steep cliffs and volcanic mountains. Deep hills and incised insulated valleys are suitable for some species of endemic plants and animals. Unlike most of the Polynesian islands that are protected by coral reefs, there are no such. The great waves fight directly in the rocky shores. 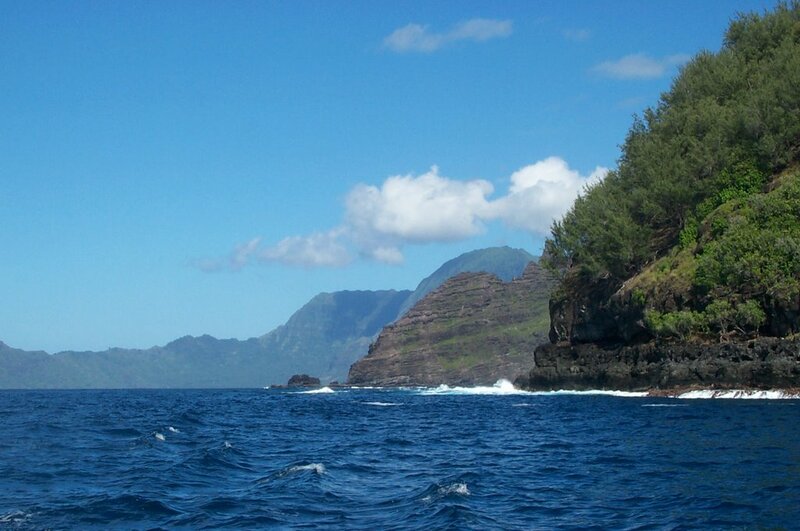 Only a few deep coves are protected for ships and other vessels visiting the island. With the exception of the airport that is asphalt, all the other black roads are quite steep and difficult to pass. They connect all the settlements in the region. 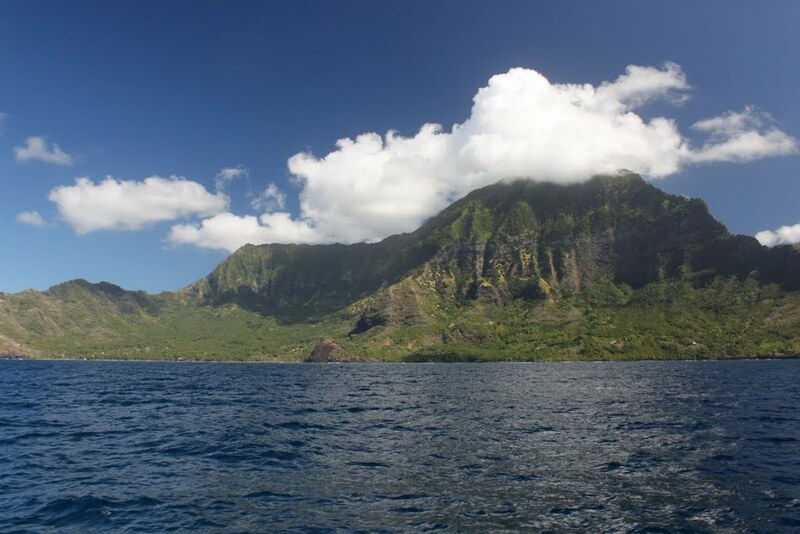 Taha Uku Bay is specially built and adapted for larger ships to land on Hiva Oa Island. The smaller island of Tahuata is just 3 km away. The channel between them is called Canal de Bordelais. 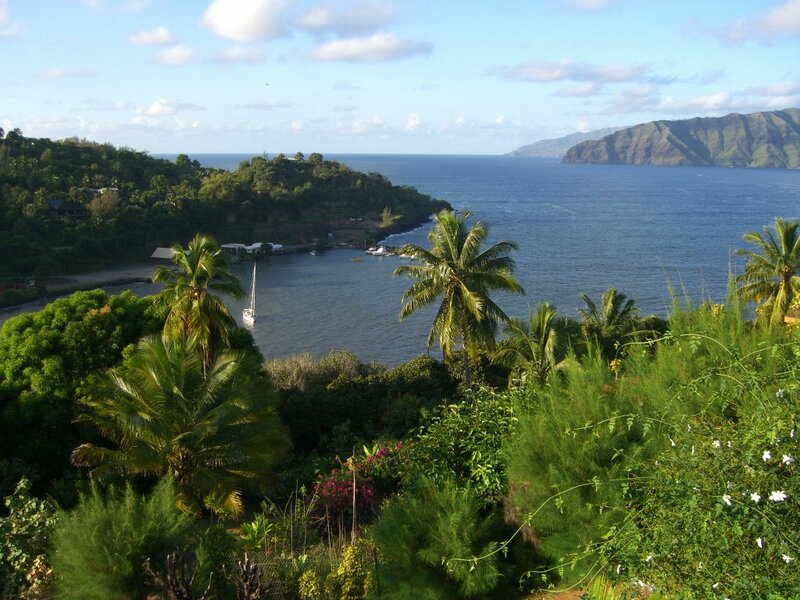 Temperatures in Hiva Oa are stable throughout the year because the island is located near the equator. 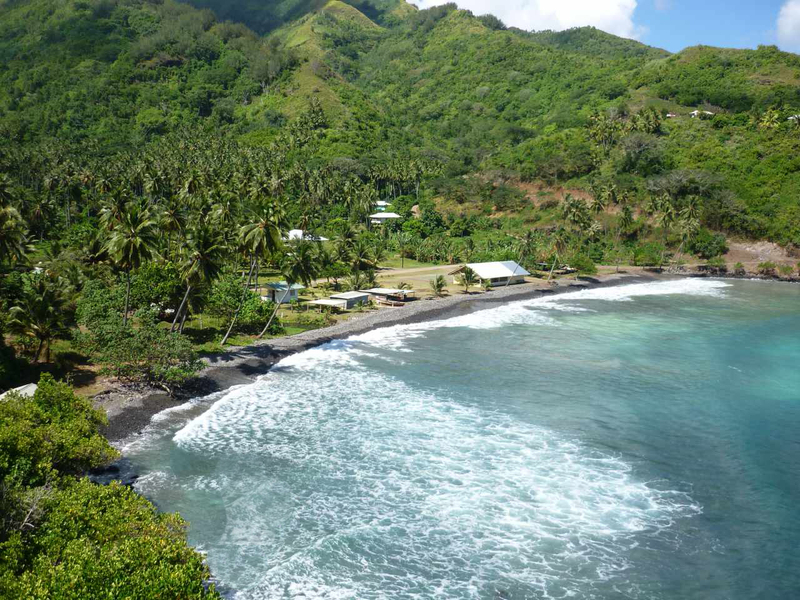 It is too rare for this part of the Pacific and for this reason agriculture is underdeveloped. About 100 years ago there lived about 10,000 French people, currently about 60 people. Most have died of illnesses. Visit the place where Paul Gaugen lived. The room where he painted the artist still smells of paint. His grave is too impersonal, some arranged stones that are not even inscribed. Interestingly, if every two or three days the site is not cleared, the forest swallows it completely. Unique nature is the reason why the American version of Survivor is here. 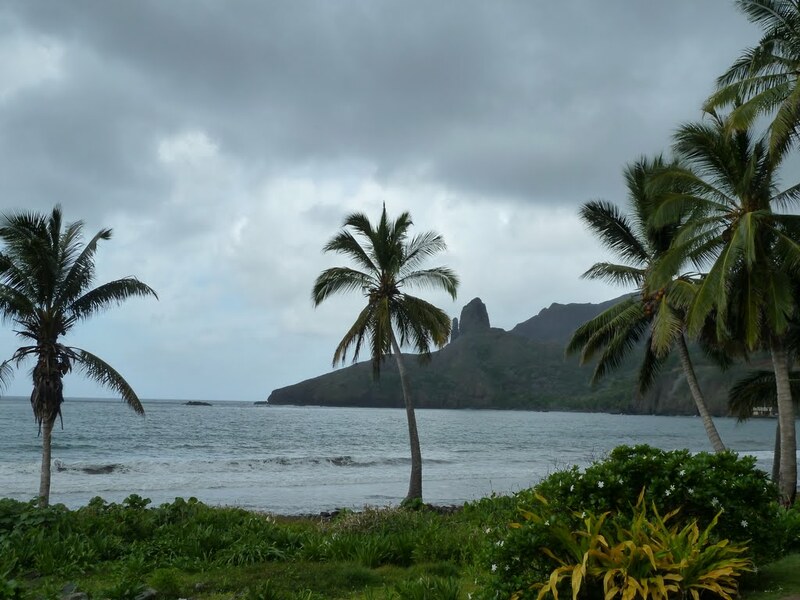 The island was also visited by James Cook and American writer Herman Melville, who were delighted with the beauty of Hiva Oa. This beauty takes a decent place to the island of Tahiti. It is certainly worth one day to visit, although for an unforgettable family holiday. 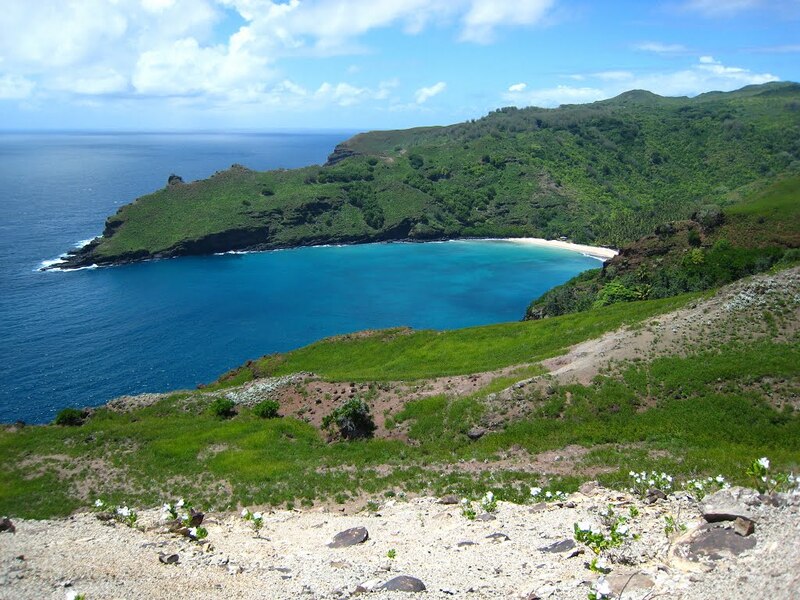 It would be interesting to visit all Marquesas. 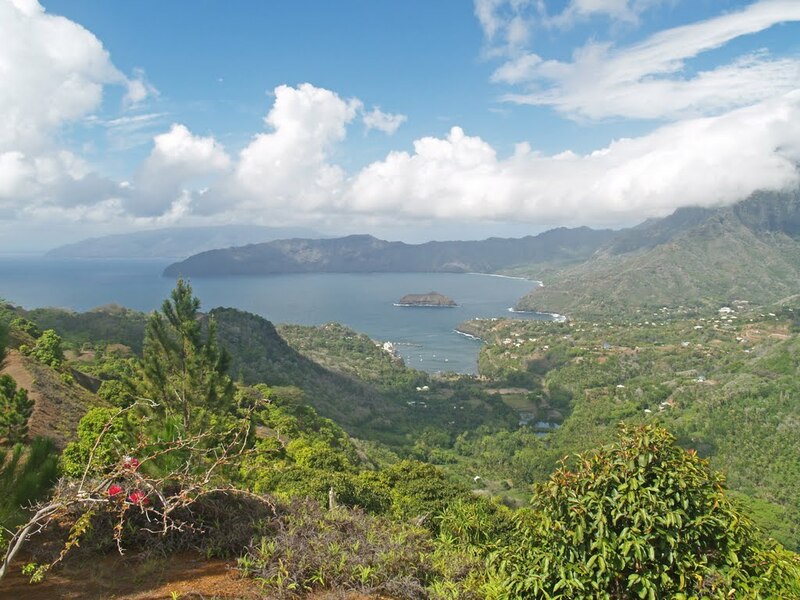 Especially exotic is Nuku Hiva Island. In our opinion, this is the most varied place of culture and nature. 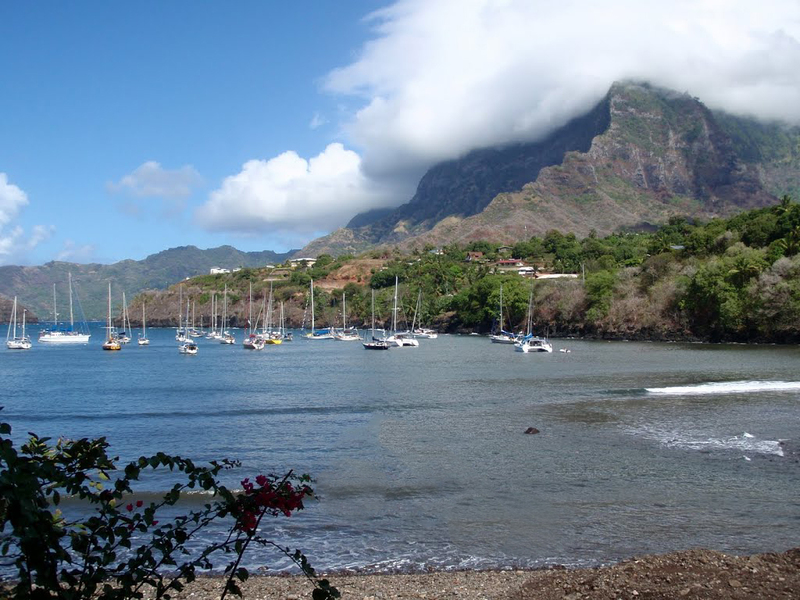 Besides, here are the most beautiful beaches of Marquesas, and the tourist services are many including underwater fishing.